Henley House Emerson's Ordinary: At least a 20-foot square building was erected here by 1718 and in 1757 when James Emerson bought it, buildings are enumerated. 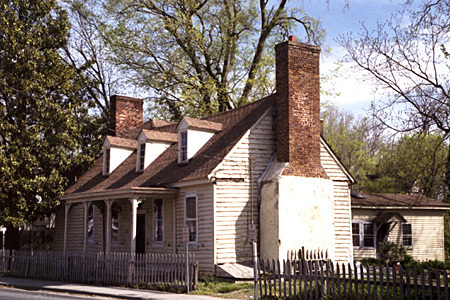 An insurance policy of 1801 states that the building is "45 foot long wooden tavern with a wood wing, one-story Dutch roof, located to front of Lot 11 with a wood kitchen and smoke house to the rear.” These are still standing with the kitchen added to the main house and are substantially as described at this date. 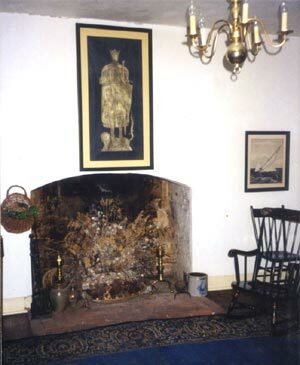 Many families have owned and lived here, but none has altered its appearance. 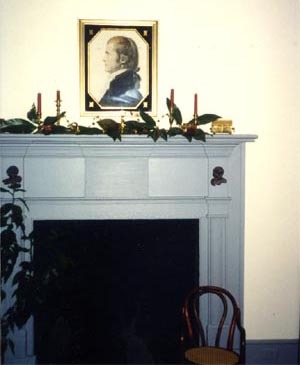 Once the home of Mr. L.J. Henley, then Mr & Mrs. R. Rennolds, it is now being restored by George Jennings III.